An eclectic mix of folks check into a lavish hotel in 1928 Berlin in Signature Theatre’s musical version of the 1932 Best Picture winner. 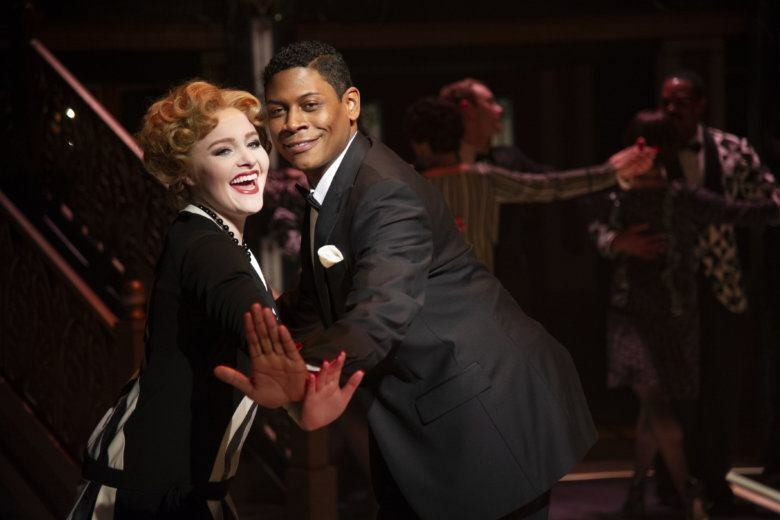 Now, pack your bags and check into “Grand Hotel” at Signature Theatre through May 19. Adapted by Luther Davis from the 1929 novel by Vicki Baum, the story is set in 1928 Berlin, where the bustling Grand Hotel plays host to an eclectic array of guests and hotel staff. This includes an aging ballerina, a destitute baron, an aspiring-starlet typist and ailing bookkeeper. That not only applies to the brisk 90-minute runtime, but also to Europe between two wars. These individuals’ unique back stories, pressing needs and future desires fuel the piece. Smith’s role is far different as the bookish Otto Kringelein living out the twilight of his life. The dancer Grusinskaya is played by Signature favorite Natascia Diaz (“Crazy for You,” “West Side Story”), while the typist Flaemmchen is played by Nicki Elledge (“A Little Night Music”). Composer Maury Yeston contributes to a songbook by Robert Wright and George Forrest. In between the musical numbers, the orchestral score times perfectly with the dialogue. While the task is challenging, it makes the end result that much more special. The music is married with movement by choreographer Kelly Crandall d’Amboise. All the while, Artistic Director Eric Schaeffer stages lavish period visuals. This immersive experience is particularly the case at Signature Theatre.